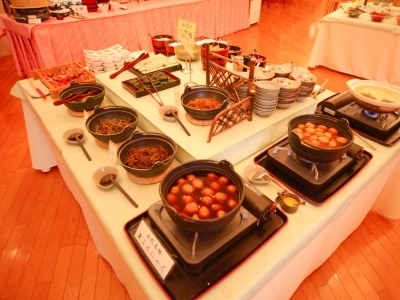 Standard plan with breakfast and original dinner "Zao-Sankaizen"
You can fully enjoy Zao life with vaunty hot springs, delicious dinner and relaxing in rich natural Zao's surroundings. 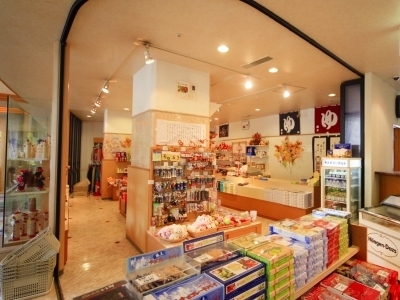 It's our standard and popular Japanese-style dinner made with various Yamagata foods. 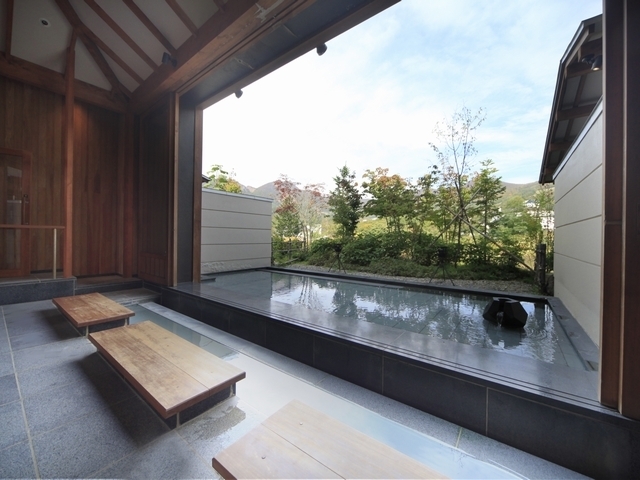 Natural hot spring house "Hanareyu-Hyakuhappo"
"Hanareyu" means "annex hot spring house" and "Hyakuhappo" means "108 steps". 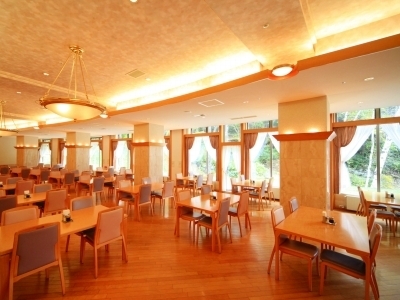 There are a wooden relaxing space and gentle atmosphere after 108 steps from the main hotel building. 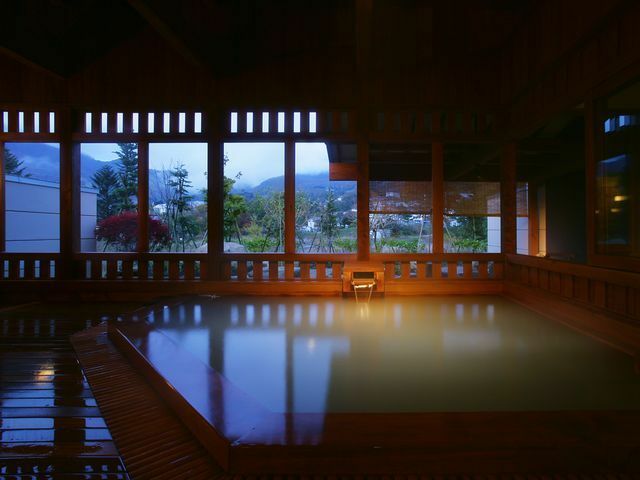 You can enjoy the milky-white natural hot spring which is 100% directly poured from the source of sulfur spring. 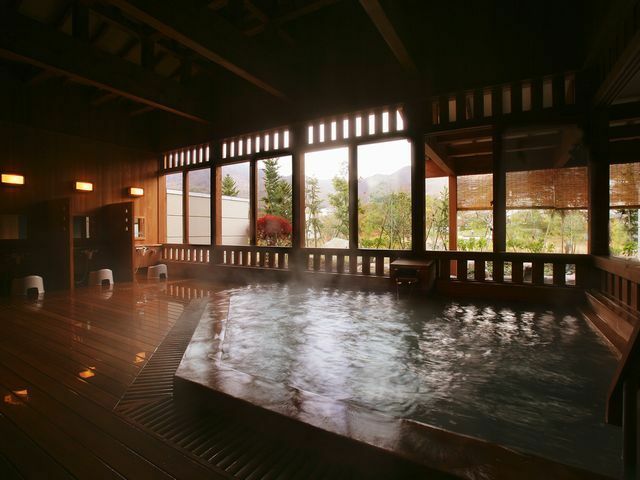 The open-air bath distantly overlook a splendid view of mountains. And also please take in the view on the way to and from Hanareyu. For more infomation, please click each room type below and refer to details! !